Dr. Sandhu is a board-certified dermatologist who specializes in medical, cosmetic and surgical dermatology. Born and raised in Southern California, Dr. Sandhu completed her undergraduate training at UCLA with a Bachelor of Science in psychobiology. During her undergraduate training she was in the college honors program and inducted into the Alpha Lambda Delta and Phi Beta Kappa Honors societies. Dr. Sandhu went on to obtain her doctorate of medicine at Eastern Virginia Medical School and completed her internship in internal medicine at Rush University Medical Center. She eventually returned to her alma mater to specialize in dermatology. 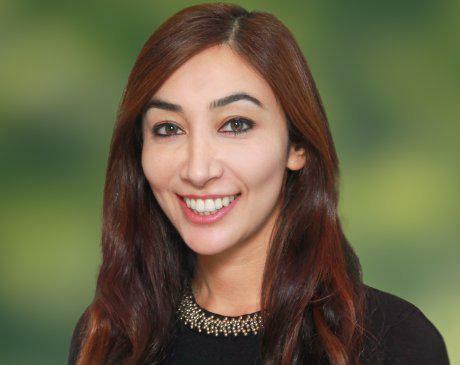 During her dermatology residency at Harbor-UCLA Medical Center, Dr. Sandhu served as Chief Resident from 2017-2018. She received the Women's Dermatologic Society mentorship award which provided her with the unique opportunity to participate in an adult and pediatric complex medical dermatology elective at UCSF. She also received the American Society of Dermatologic Surgery Preceptorship award through which she obtained additional expertise training in cosmetic and surgical procedures. Throughout her medical career, Dr. Sandhu has co-authored several journal articles and presented her research at various local meetings and national dermatology conferences. She is a member of the American Academy of Dermatology (AAD), Women's Dermatologic Society (WDS), and American Medical Association (AMA). Dr. Sandhu is passionate about all aspects of dermatology and dedicated to providing the best dermatologic care for her patients. She is keen on creating individualized treatment regimens for her patients. She strives to empower patients to become proactive about their skin health.